Side effects of aloe vera juice range from mild to severe like diarrhea or skin irritation. Learn the usage methods to enjoy its benefits without any problems. Many people are enjoying the benefits of aloe vera. People have known for thousands of years that the juice of an aloe vera plant is great for easing the pain of wounds and burns, and might help promote healing of cuts and tears. With that knowledge, numerous companies have begun marketing the juice from the Aloe Barbadensis Miller plant, which is known for the clear, translucent and substantial gel. However, you should also be cautious about the possible side effects that may occur. In most cases, aloe vera gel is perfectly safe when applied to the skin. The cooling sensation takes effect almost immediately, and usually helps to relieve the problem. In some people, though, aloe vera might lead to itching or a burning sensation on the skin. Some people choose to ingest aloe vera by adding it to smoothies, or taking gel capsules filled with it. It is possibly safe to do this, but there are side effects that might make the practice unsavory for some people. Be aware that when you drink products containing aloe vera, you might be inviting diarrhea. Because the aloe vera contains a compound that acts just like a laxative. Depending upon how much you ingest, the diarrhea could be severe, accompanied by cramps and pain, as well as dehydration. You might already know that some prescription and over-the-counter drugs interact with herbal medications and vitamins. But did you know that aloe vera can do the same? In fact, studies have shown that aloe vera can interfere with diabetes drugs, diuretics and some heart medications. Curious about the aloe vera juice side effects? Glucose levels can be rapidly reduced by ingested aloe vera, so be careful if you have a history of hypoglycemia or are taking any diabetes medications. Aloe vera is usually considered a wonder drug to treat cuts and burns, but for some people it can be just the opposite. Avoid aloe vera if you have just had a spa treatment or skin peel, or if you are going out into the sun soon. Also take caution when using it on surgical wounds. Some people might tolerate aloe vera on their skin, but when they ingest it, they have a reaction to it. This is especially true for those who know they are allergic to garlic, onions, hyacinths, tulips, lilies, and the like. Any sort of reaction to aloe vera should be considered a medical emergency, so get to the hospital before it gets worse. 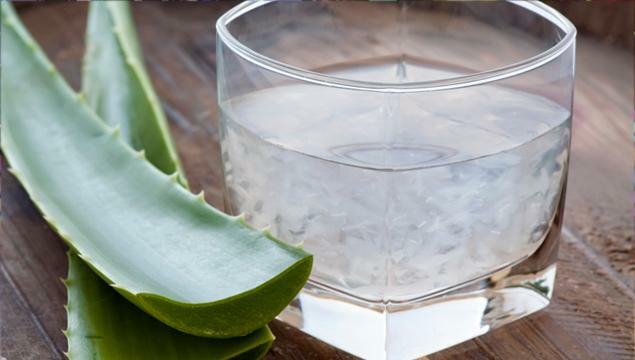 It might seem like aloe vera juice is great for you. Even if you have no aloe vera juice side effects, it is a good idea to know exactly what is in the juice and what it might do to your body. Keep in mind that something all-natural doesn't mean that it's good for you! When you choose to take aloe vera, make sure to stay within the guidelines of what is considered safe to ingest each day. These doses have scientific researches to back them up, and therefore can be relied upon for safety; however, do check with your doctor if you have concerns. For those who are suffering from diarrhea, take 50 mg aloe latex or 100-200 mg aloe in the evening. In this case, pure aloe is much safer than the aloe latex. If you are suffering from psoriasis, it is usually okay to use 0.5% aloe extract cream, used three times per day as needed. Using more than this could lead to burning, itching or other problems. Always consult your doctor before you choose to use this for psoriasis. Keep in mind that no matter how you use the aloe vera, it might have reactions to other drugs and medications. If you are a diabetic, or are taking medications to control blood sugar, be aware that aloe vera can often make blood sugar dip into low numbers, which could lead to a life-threatening situation for a diabetic, so watch your blood sugars very closely. If you are using hydrocortisone cream for itching, the addition of aloe vera might actually help it work better. If you do try this, be alert for signs of further itching or irritation. If you are breastfeeding or pregnant, you should avoid drinking aloe vera juice. Aloe vera has been linked to early contractions, which could lead to miscarriages, even in a previously healthy pregnancy. If you are breastfeeding, the aloe vera becomes part of your breastmilk, and can give your baby vomiting and diarrhea. In fact, aloe vera should be avoided for any child at the age of 12 or younger, mostly because of the laxative properties. Can Aloe Vera Juice Side Effects Trigger Some Diseases? Aloe vera is known for making certain conditions, such as burns, feel better. But can it do harm to those who already have existing medical conditions? Aloe vera can make certain conditions worse, such as colitis, diverticulitis, appendicitis, hemorrhoids, Crohn's disease, ulcers and intestinal obstructions. If you have any of these conditions or suspect you do, avoid using aloe vera in any amount. In some cases, aloe vera can cause an electrolyte imbalance. Though for some people this has very mild symptoms, others might suffer from heart palpitations, irregular heartbeat or severe fatigue. If you begin to feel this way, immediately top using aloe vera and contact your physician. Excessive use of aloe vera might also be a problem. Scientists have found that while a little aloe vera on an irritated area of the skin can go a long way toward healing, using too much aloe vera or applying it too often can lead to a rash and irritation that is even worse than the initial problem was. Sometimes you might even break out into hives, suffer a widespread rash or notice that your eyelids are red. Signs like these indicate that it is time to walk away from the aloe vera plant.